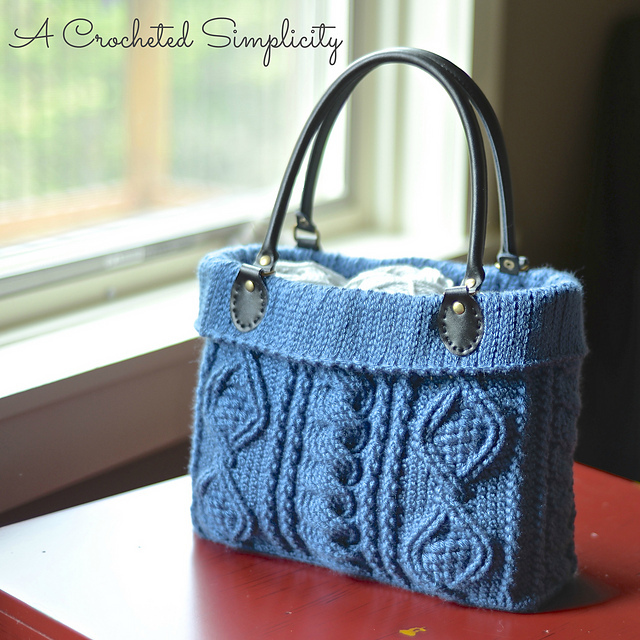 I’ve found that there are many crocheters out there who are intimidated by cables and I’ve made it my mission to help them conquer their cable fears by setting up a CAL (crochet-a-long) for this bag. 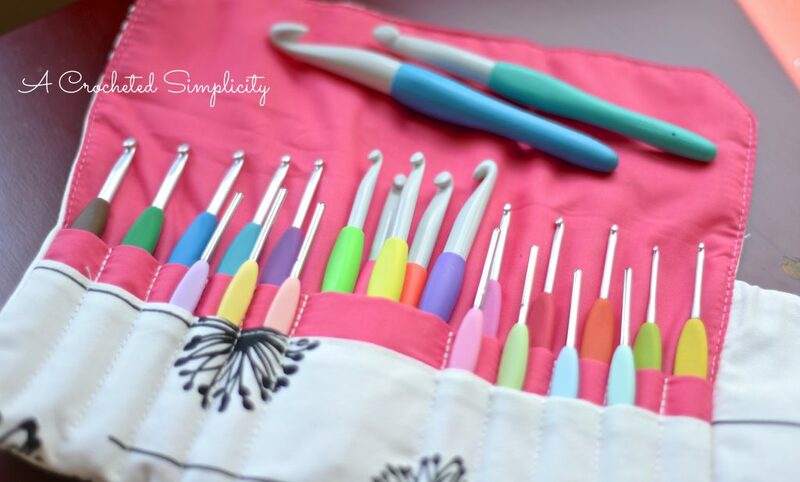 The folks over at Happily Hooked Magazine allowed me to host this CAL in their Happily Hooked Crochet Along Group on Facebook. Pop on by and join the group for this and future CALs! This CAL is coming to an end soon, but they promise to have another fun one coming soon! 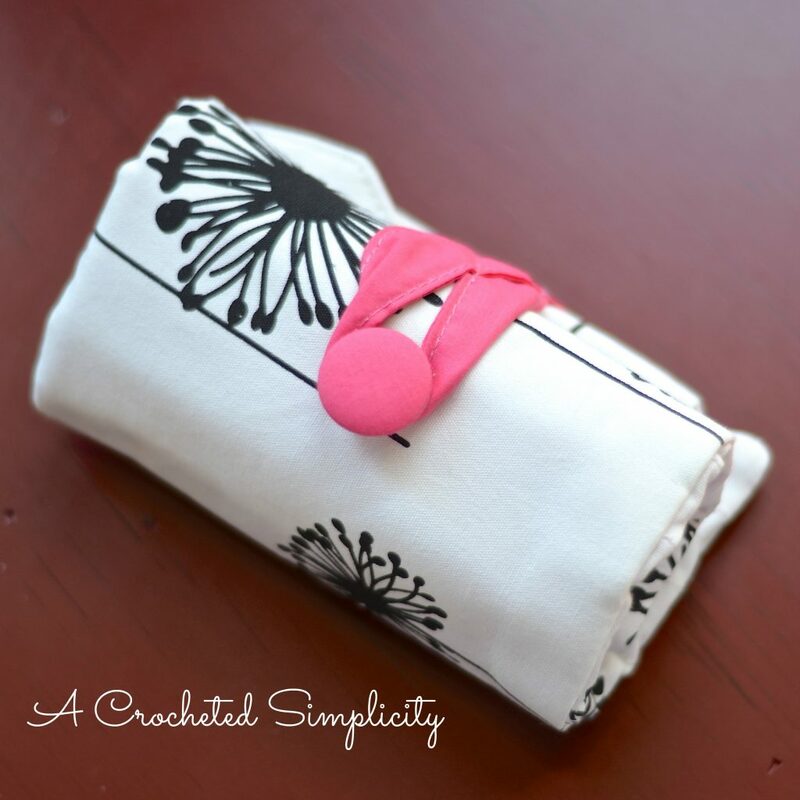 When I’m traveling and need to take my hooks with me, I use this super cute Crochet Hook Case that I use. It has a great zippered pouch to hold my Stitch Markers, Scissors, yarn needles, and Tape Measure . This pattern is packed with photo tutorials and video tutorials to help you every step of the way! If that isn’t enough, I’m always around for additional help through Facebook messaging on my A Crocheted Simplicity Facebook page, Ravelry messaging, and e-mail (contact info is included in the pattern. Now onto the F-U-N!!! We’ve been having lots of fun in the CAL group with weekly giveaways and even an impromptu crochet trivia game to win mid-week prizes! 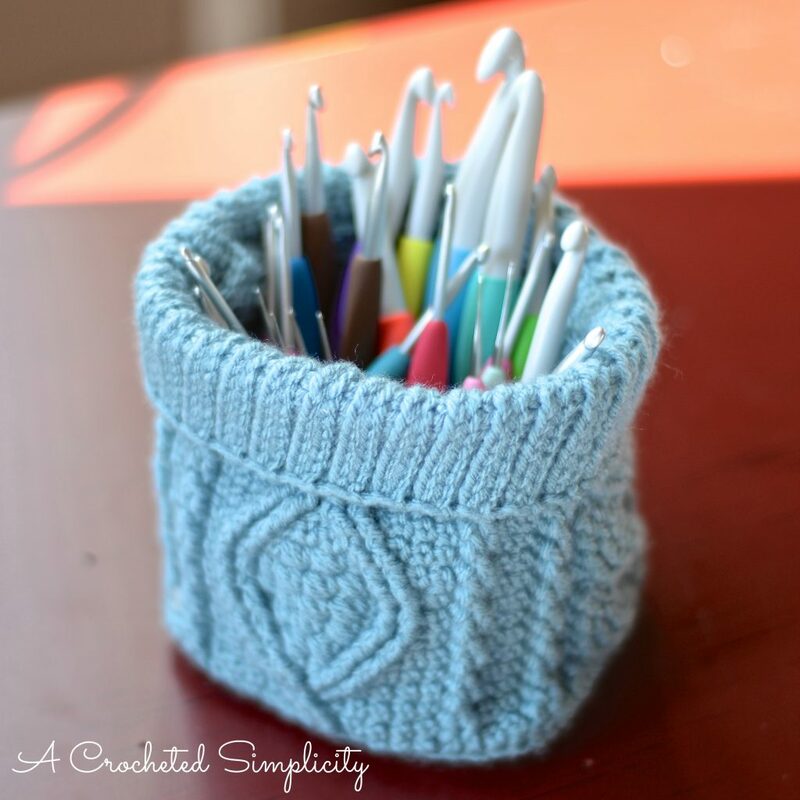 I’ve given away some super awesome Abracadabra UV light color changing yarn, yarn cozies, Happy Crochet Hooks sponsored a great clay handled hook, Happily Hooked Magazine sponsored a 3 month magazine subscription, and lots of patterns! As we approach the end of the CAL, I thought it was time to put together a Rafflecopter entry for the Grand Prize! 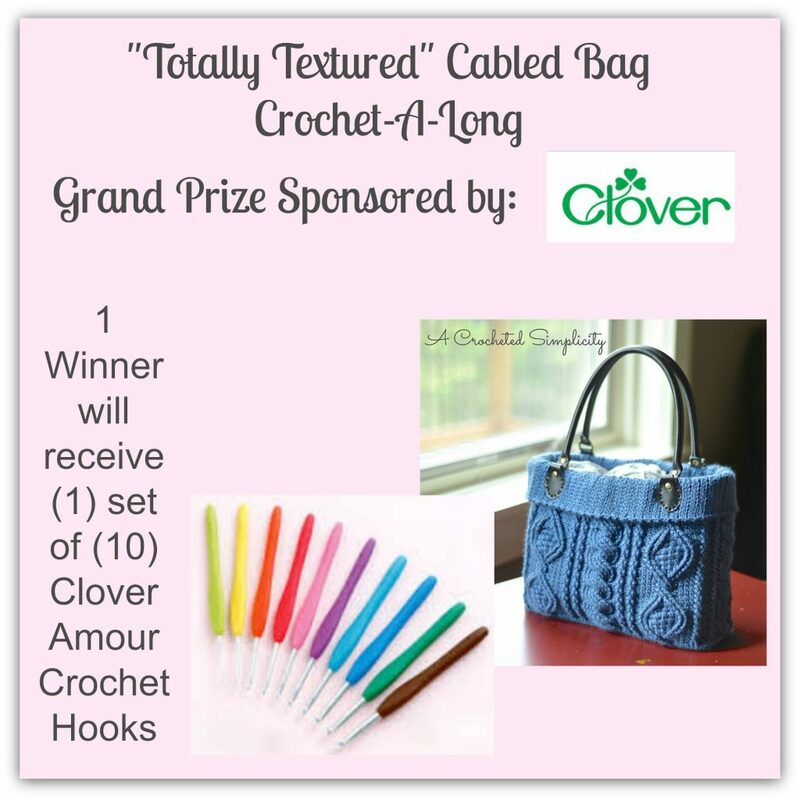 Clover USA has generously offered to sponsor one of the fabulous Grand Prizes: a set of (10) Clover Amour Crochet Hooks! Since we have such a large group of participants, I couldn’t have just 1 winner! I am currently putting together several other prizes. 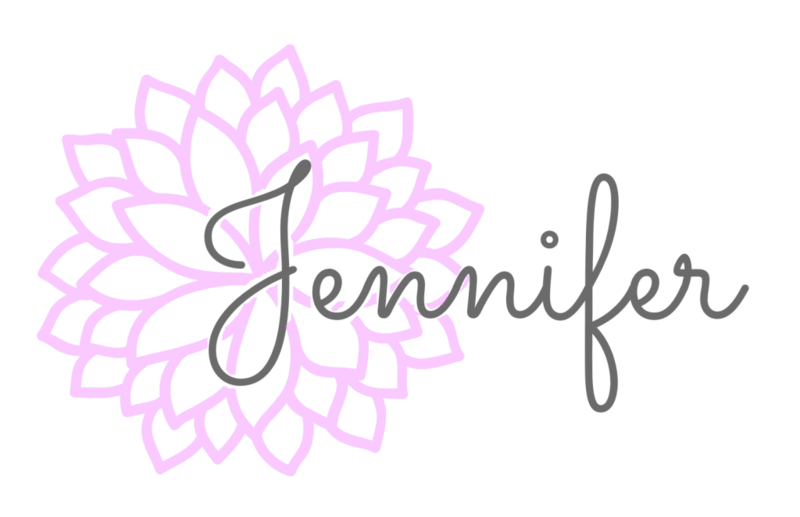 All winners will be announced July 10th and will be posted here on this blog post and in the Happily Hooked Crochet Along group on Facebook. I want to send out a BIG thanks to all of the sponsors of this CAL and all of the participants! It’s been a lot of fun for me and I’m enjoying seeing everyone’s progress.